The storyline is a familiar one — millions of accounts compromised, data leaked to the internet, sold to the highest bidder or to some nation-state hacking group. It’s such a familiar story, that we have lost the capacity to care — or at least to care more than we do about football scores or our snaps. Let’s face it, headlines on massive account takeover attacks have become a signpost of the times. It doesn’t have to be this way, there is a different path. At Signal Sciences, we are actively detecting and defending common web attacks — including account takeovers — every day for some of the biggest companies on the internet. 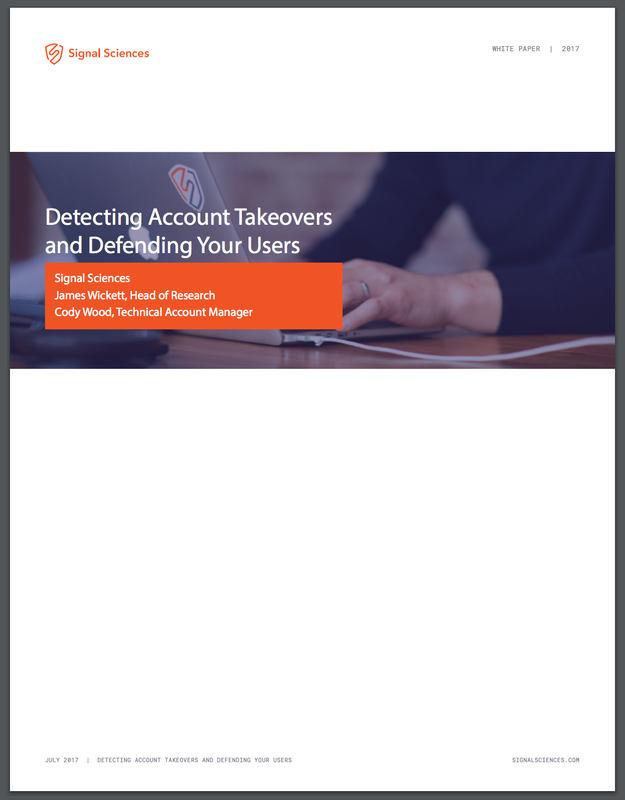 To help you detect and defend account takeovers, we have distilled the topic of account takeovers in our most recent 8-page report: Detecting Account Takeovers and Defending your Users.